Qualastat is the FIRST choice for wise professionals requiring quality interconnects in hostile environments with a mission critical application. Not all cable assembly shops are equal. 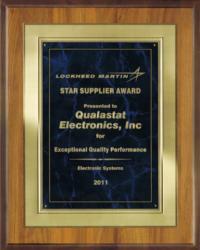 Qualastat specializes in the complex while providing the best quality and delivery in the industry. Built correctly, with no counterfeit parts or substitutions.